Here at eye4talent, our passion is to help you get the most out of your talent. In order to do so, we work every day on creating the best tools to help you in your development – on and off the pitch. With our Player Universe you will get your exclusive digital universe, in which you can follow up on and study any information your coach shares with you. But as you already know, your development does not happen on its own and that is why we deliver the opportunity for you to take on more responsibility for your own learning in close relation with your coach. 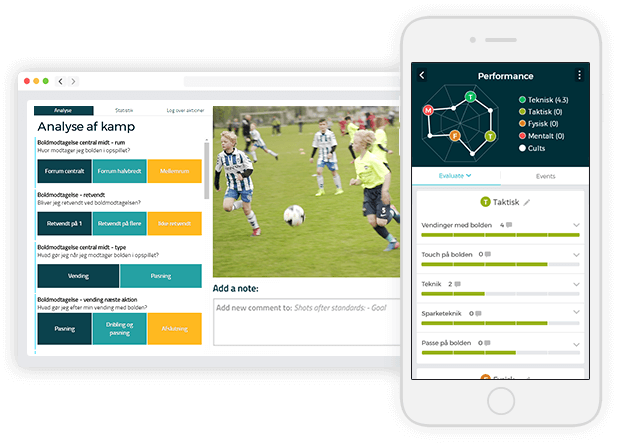 Using our simple video tool and our smart app, you can analyze and evaluate your own performances after training sessions and matches. And the best thing about our 4Player App? You have got your coach’s advice and guidance at your fingertips – anywhere, anytime. What do you get with 4Player Universe? 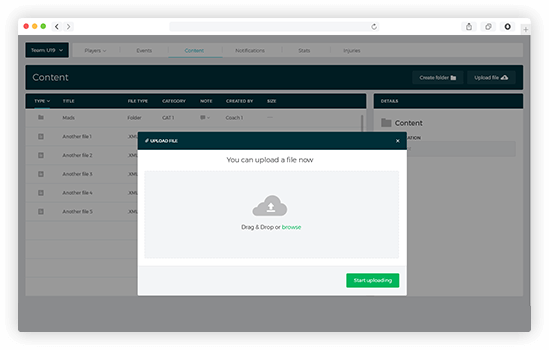 Our platform insures an easily understandable overview, so you can follow up on your own development. You will get an intuitive overview of all your activities in your own pace. You will find data on training sessions, matches, video analysis, self-evaluation, and video you have been tagged in. 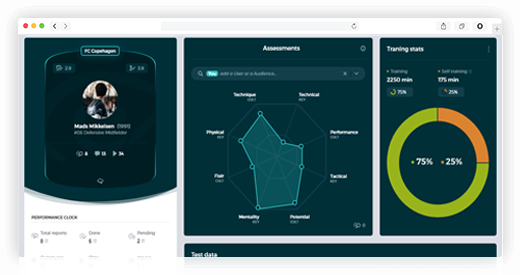 Player Universe contains a possibility for online feedback from your coaches and you will gain access to statistics on minutes played, training track record, physical test scores, shared documents, and much more. Besides the ownership and feedback, we believe that ongoing reflections are key to your development. In that spirit, we have made it possible for you to evaluate on yourself and do your own video analyses after training sessions and matches. 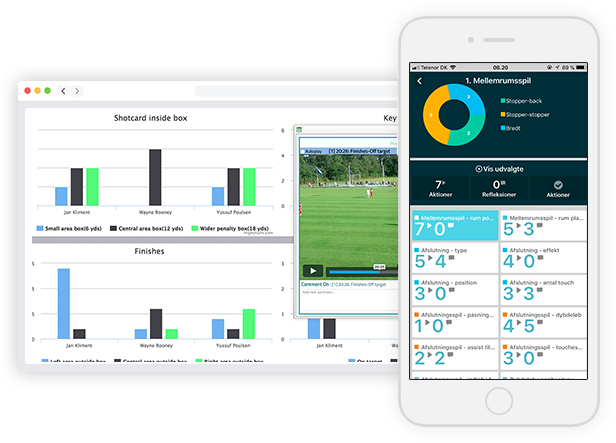 In collaboration with your coach, you will pick out the parameters that you will focus on in your development and through the video tool and the 4Player app you then analyze and evaluate your own performance. In the process, you will write your own comments and your coach will get the chance to read them and gain a better understanding of your current development issues. Our platform will allow your coaches to follow you and your development. When your analyses are done, your coach can comment on your performance, your reflections, or your questions. That will give you a unique dialogue, an enhanced relationship, and last but not least a better understanding of your development and your potential. All in all, something that will strengthen your view on your areas of improvement. When you have worked with the video from your own performances, you can analyze on the data – anytime it suits you. You can compare different matches and trainings sessions with each other and create your unique video log with your own and the coach’s comments. It can also be used as a way of preparing your next performance. In Player Universe, you can easily gain an insight in the information that are shared with you. 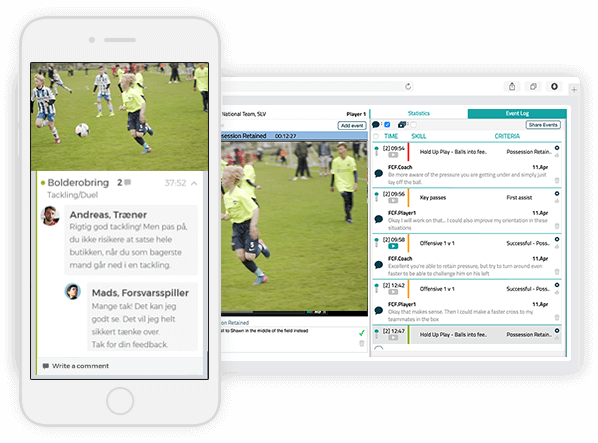 Our platform gives you, your coach, and maybe even the whole club the opportunity to share information and documents with each other. This way around, you can gather all the information that is important for your development in your own universe. File sharing services and USBs has come to an end. Remind us – what did your coach tell you about your long passes six months back? In Player Universe we will help you go back in time with your data. 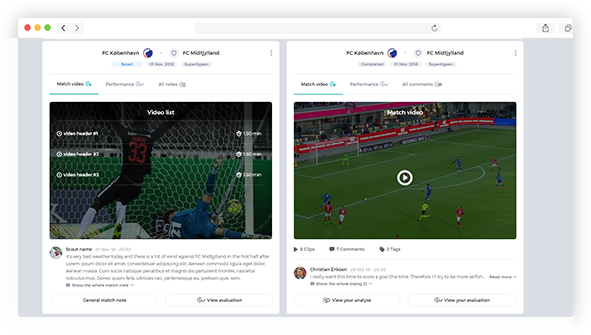 Instead of numerous documents on your coach’s physical and virtual desktop, you can gather all relevant data in the platform and the club’s knowledge about you is then in one secure spot where it will never be lost. That helps both you and your new coach as you change squads along the way.